Everything is made up of systems; from the Circulatory System in our bodies to the Solar System in space, to the necessary Septic System. Systems are crucial to life! They are also crucial to an organized life. Just like we couldn’t live without our Respiratory System, we can’t live in an organized way without systems for our belongings. If we think in terms of organizing survival, we’ll realize the importance of using systems. Now, coming up with the ‘right’ systems is trickier. This is where most people draw a blank, and where Organizing Professionals come into play. Here are a few things to think about when trying to figure out what systems are right for you. How you function in your space – How do you use the space you have? A person who does a lot of baking and cooking would create kitchen systems that are much different than the person who prefers to eat out most of the time. What’s working – Think of any systems you have in place and why they work. If you put your keys in the same place every time you come home and therefore never have to look for them, that’s a working system. What’s not working – Isolate the main problem with the disorganized areas. Is it lack of time? Then a simple system is best. Are things hard to find? You may want to consider hidden/visible storage system options. Consider active vs passive space – the things you use regularly (toilet paper, pens, dishes, etc) should be in your active space and the things that are used infrequently (holiday decorations, ski clothes during summer, serving platters, etc.) can go into your passive space. We all strive to put things away, but we don’t do it because, often, we don’t know where ‘away’ is. We blame it on being generally disorganized, not having time or not taking the time. 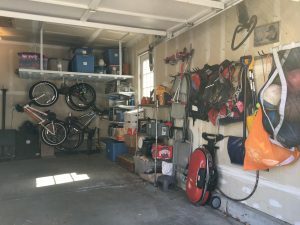 Creating homes for everything and systems to get those things into their homes will eliminate the “where does it go” blues, as well as piling and clutter areas.